Yes, those adventurers who participated in the last feast know all too well what transpired--the robbery of the legendary Genji armor lent to the M.H.M.U. by our allies in the Far East. For the past two festivals, ruthless bands of brigands have thwarted Mog House Management Union security and lifted the treasure right out from under the moogles' cute button noses. But, thanks to the cooperation of thousands of brave adventurers from around Vana'diel, the M.H.M.U. have been able to retrieve the stolen items and return them safely to their proper owner without creating an international crisis. After two complete and utter failures, one would think that the M.H.M.U. had learned its lesson and would abandon any plans for holding another feast. However, as we all know, the moogles can be stubborn little creatures, and recently sent a secret envoy to the Far East to persuade their leaders to lend them the fabled armor once more. But why on Vana'diel would the Far Eastern nation allow the M.H.M.U. to borrow the items again, knowing full well that lightning is likely to strike a third time? The answer lies in the ingenious plan offered by the envoy leader, Coupaul Couprale. Instead of attempting to transport the armor back to Quon by ferry, Couprale proposed that the M.H.M.U. station representatives in strategic locations starting in the Far East, stretching across Aradjiah and the Guguru Blue, to the union headquarters back in the Middle Lands. Then, by using powerful Moogle teleportation magic, the armor would be transported from one representative to another, until it safely reached the shores of Quon. By using this advanced "relay" method to move the equipment, it would be impossible for brigands, pirates, ruffians, and other doers of no good to track its exact location, thus ensuring maximum security. "A flawless plan, kupo"...or at least according to Coupaul Couprale. And so the Moogles warped to their secret locations and the plan was set into motion. Three hours was all it would take for the Genji armor to arrive in the San d'Orian workshop of master woodcarver, Kupelcian, where it would be placed in an ornate ark. From there, the ark would be carried by an elite group of royal knights and stored in a treasure vault deep beneath Chateau d'Oraguille, where it would be guarded day and night until the Feast of Swords began. "There is a goddess!" cheered brigand leader Barracuda Myu as a beautifully decorated coffer slowly materialized within the confines of her tiny cell in San d'Oria's infamous Bostaunieux Oubliette. Left with the choice to either call for a guard and return the armor, or use its power to free her companions and wreak havoc on the moogles that threw her in this dark pit to rot for the rest of eternity... Well, you try to figure out which option she chose. And so, once again the brigands are loose and gallivanting about the continent! The M.H.M.U. 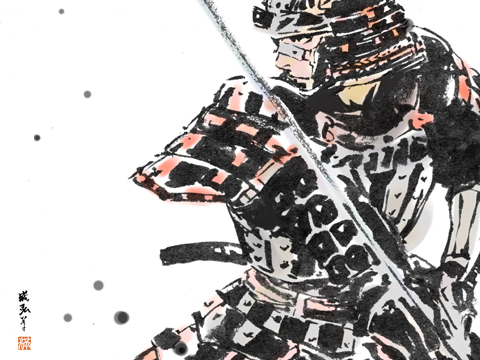 have ordered a brand new batch of wooden katana and are waiting for volunteers to help fish the organization out of the sea of trouble it finds itself in...again. The dignity of the M.H.M.U.--no, of the Middle Lands--can only be preserved by your actions! 3. Team up with other adventurers and beat the living daylights out of those thieving brigands! 4. After knocking one unconscious, thrust (trade) your wooden or lotus katana into the ground near the body. Who knows? Your deeds may just earn you a rare relic! 1. Moogle magic will increase your movement speed, but lower your level to 1. 2. All equipment higher than level 2 will automatically be removed at this time. 3. While under the moogles' spell, you will not be able to attack regular monsters, but they will not be able to attack you as well. 4. The magic will wear off the instant you leave the area or log out. The festivities begin at the stroke of midnight on April 27, 2007 (PDT) and are scheduled to continue until midnight on May 11.